Despite fears that shuttered Walmarts would be turned into housing for invading Chinese soldiers and talk of an ISIS false-flag operation, aliens, Vladimir Putin, secret tunnels, depraved ice-cream trucks, FEMA camps, death camps, and martial law, the Jade Helm 15 military exercises are dead, and Texas is still alive. The exercises — which took place in states in the West and South, where the rural, dusty terrain is most similar to what soldiers would experience in the Middle East, and became a conspiracy-theory magnet because of a map labeling Texas as “hostile” for training purposes — officially ended on Tuesday. 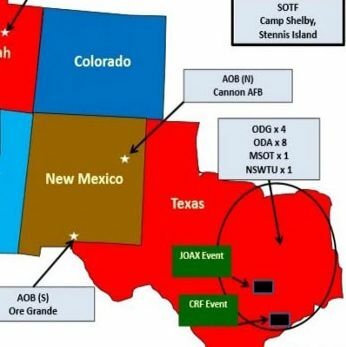 The only criminal activity involving Jade Helm that appears to have happened took place in North Carolina, where three men were arrested for allegedly planning for martial law by booby-trapping their camp with explosives in case the federal government came.